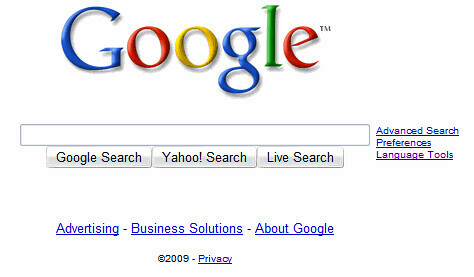 The development of the internet age has led to a plethora of 'name' brands. Google, Twitter, Skype to name but a few. Yet has the tide begun to turn? are name brands going to to be replaced by symbols and icons over the next decade? This is a question we have been discussing within the studio for a number of months now.It seems like 'digital' is slowly becoming everyday, and as it does so the distinction, or more the need to distinguish between digital and non-digital worlds becomes less and less. This is already been seen within branding itself. Branding company are once again looking at the 'experience' of the customer not differentiating between on and offline. Technology and hacking is also becoming more and more commonplace with open source becoming more and more accepted people are now hacking (experimenting) and technology and code is the modern day piece of mahogany timber. So following this back to the internet. Has it grown up? are people now looking for richer more engaging experiences? To follow this further does this mean that we will be looking at more story led brand marks that conjure up tales? 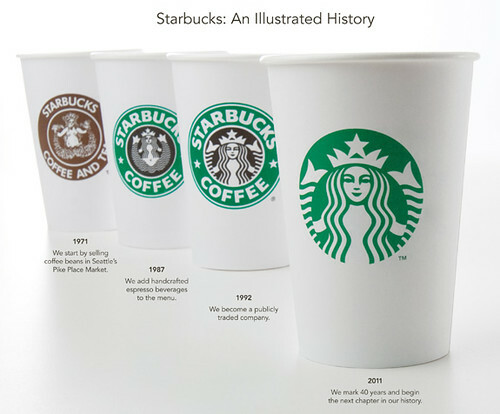 One of the most recognisable brands to have recently lost it's name and developed a symbol only brand is STARBUCKS. The strong simple icon instantly feels richer and someone who has always steered clear from STARBUCKS has made me re-consider them as a possible coffee venue. While of course there is a huge amount of brands that rely on text and symbol within their brand marks. It seems like the fresher symbolic approach also has a huge advantage in this worldwide web of a planet. No name meaning no translation. Potentially a less global feel and even an ability to adapt the symbol to it's local requirements? It's still very early to say, but I am very excited to see if this is the start of a shift in the visual representation of peoples brand experience. After all it is stories that sell brands to people.